4.0 out of 5 based on 69 bloggers and 5 commenters. 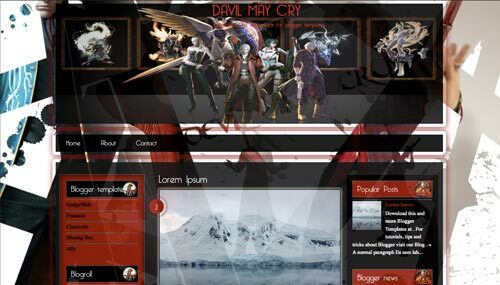 Davil May Cry is a free blogger template with 3 columns, left and right sidebars, an exclusive design for Blogger, ads ready and 3D effect. as I can remove the home tab that appears below the drawing of the head?